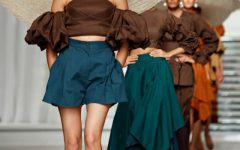 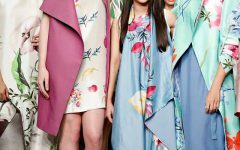 La fée unveiled a feminine dreamy collection celebrating ingenious orthodox handcraft in traditional style. 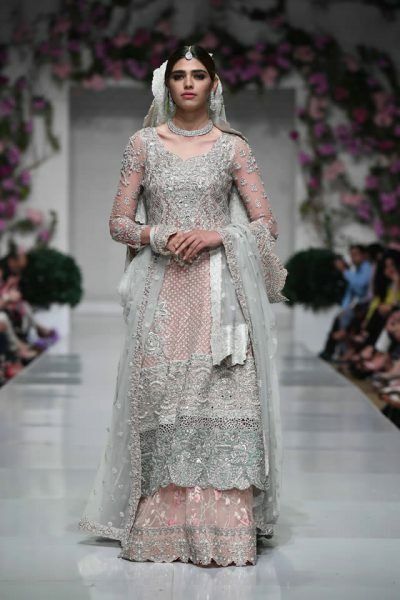 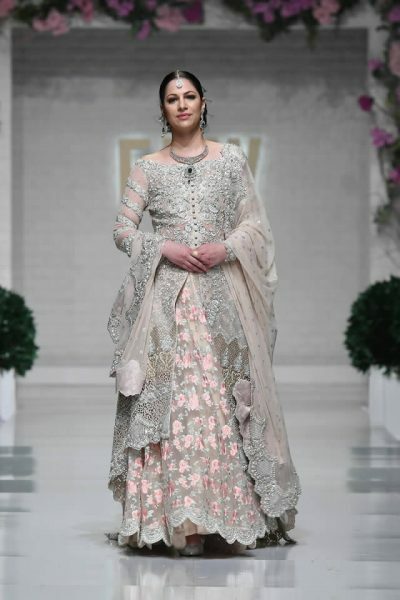 Zainab Chottani pieces redefined elegance with subtle flamboyance in pastel and sparkling rouge color palette and intricate blossomy floral designs. 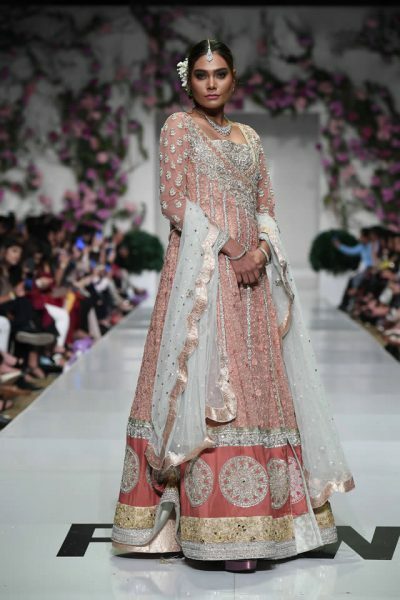 The collection encapsuled a breezy silhouette evoking traditional craftsmanship fused in majestic ensemble. 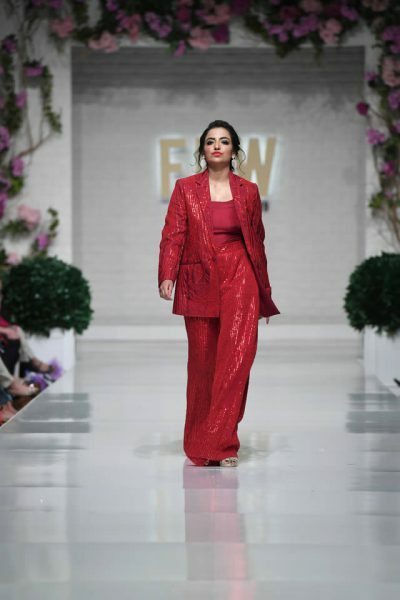 With rouge elements and sparkly detailing, some of her ensembles like the fiery red traditional suit left everyone mesmerized. 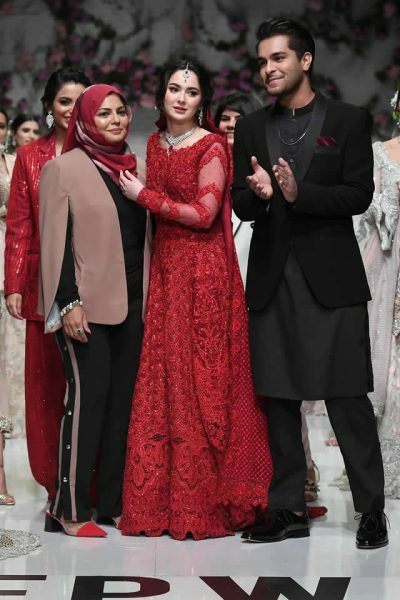 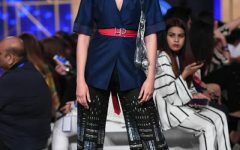 What took everyone by surprise was the impromptu concert Asim Azhar put together on the ramp with Hania Amir where he serenaded his way through to the end. 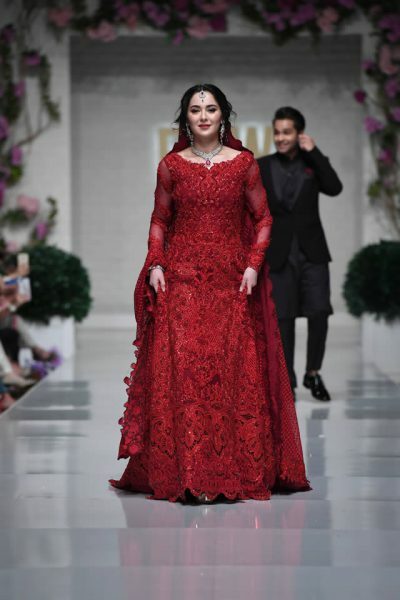 Showstoppers for Zainab Chotani were Fatima Zara Malik, Hania Amir and Asim Azhar.